So its 13th March and it feels like the first day of spring so off on my trusty steed I go. 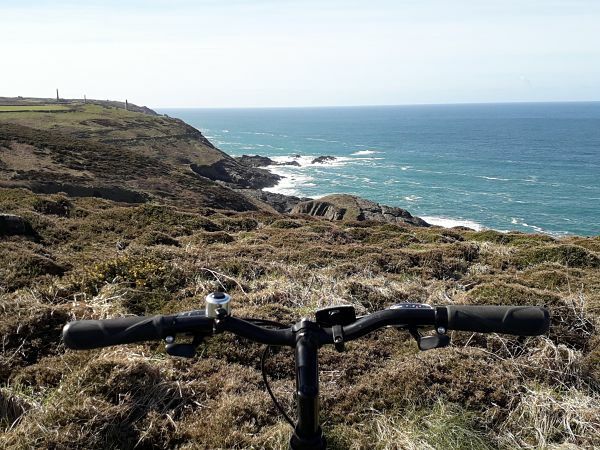 Pendeen is one of my favoured cycle routes in the far South West of Cornwall and so I decided to have a look round the Pendeen coast. 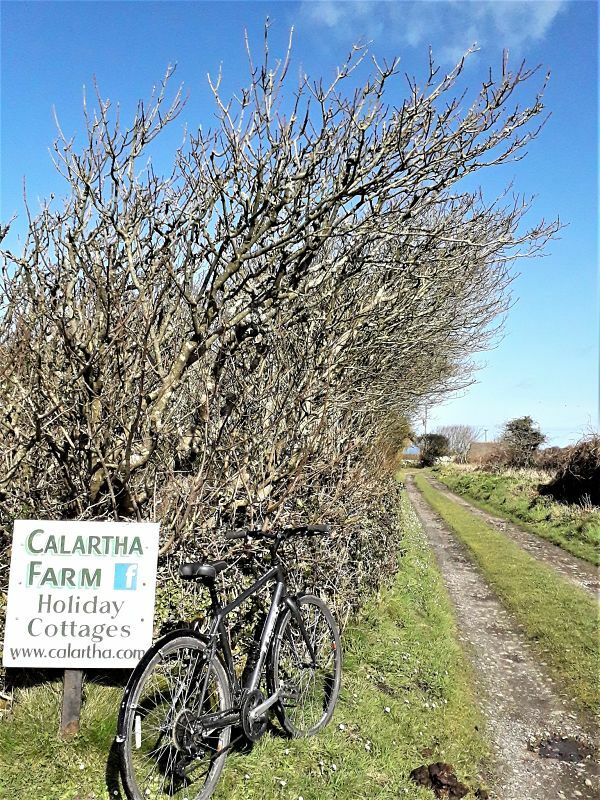 I cycled over to Calartha Cotttages which are on the way down to Pendeen Lighthouse. What a peaceful and tranquil place to live. Ann North, who owns Calartha Farm and the cottages, has four cosy holiday lets that you can stay at, (she advertises them through Classic Cottages). And what a view you will wake up to from there. 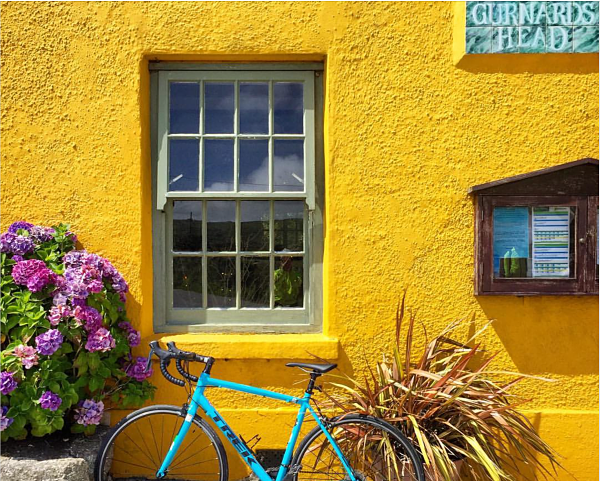 Its a great place to stay if you want easy access to the coastal paths for cycling or walking. 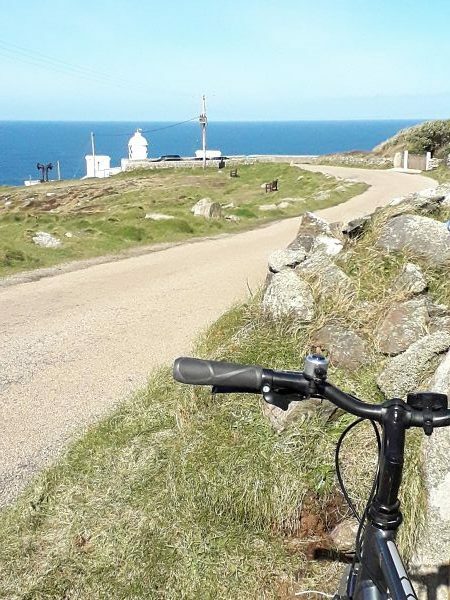 St. Just is only a couple of miles away, Gurnard’s Head is a great cycle along the B3306 if you want a drink and good food that you want to eat and a garden with a view. 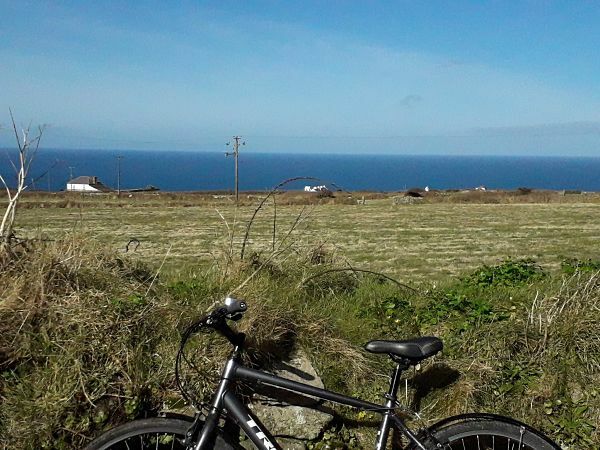 See our routes for more on this cycle ride. 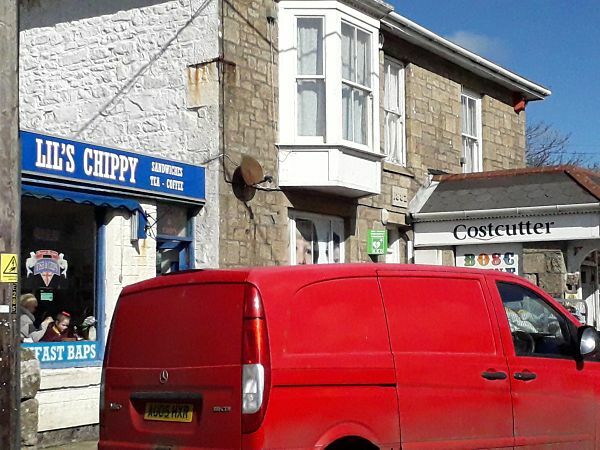 Its also easily accessible for Penzance, St. Ives, Sennen and Porthcurno. 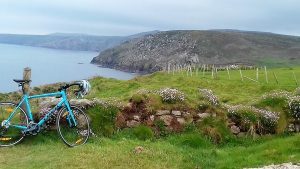 After visiting Ann, I freewheeled down to Pendeen Lighthouse which is always spectacular to look out from, whatever the weather. I love the feeling of being so close to the coast and hear the waves hitting the rocks. Back up the hill.. low gear most of the way phew… At the top I stopped off to get myself a bite for lunch to take back home, they have a good stock of food there. Lil was also frying today, but didn’t fancy chips, (save that indulgence for another day). Next postE-Bikes, are they really cheating?